Hockley Valley Resort & Spa Retreat! 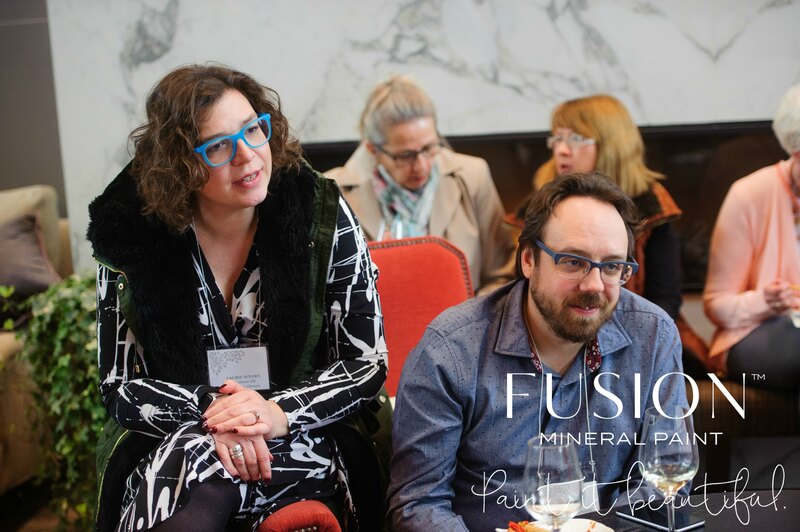 We have just returned from our Annual Conference & Retreat at Hockley Valley Resort for our fabulous Fusion Merchants! 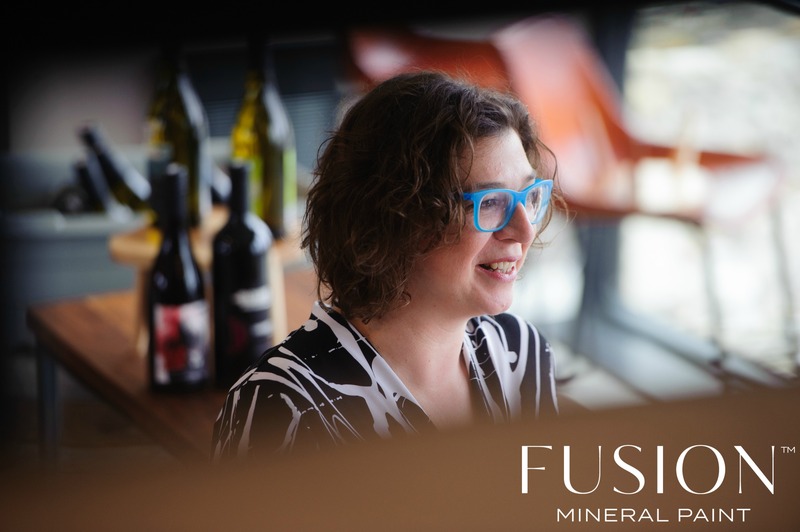 When you join the Fusion Family as a Merchant, it’s a whole new world of entrepreneurship. We celebrate small business, we appreciate the dedication and their loyalty to our brand of Homestead House products. All of our Fusion Merchants are very unique and offer incredible services. 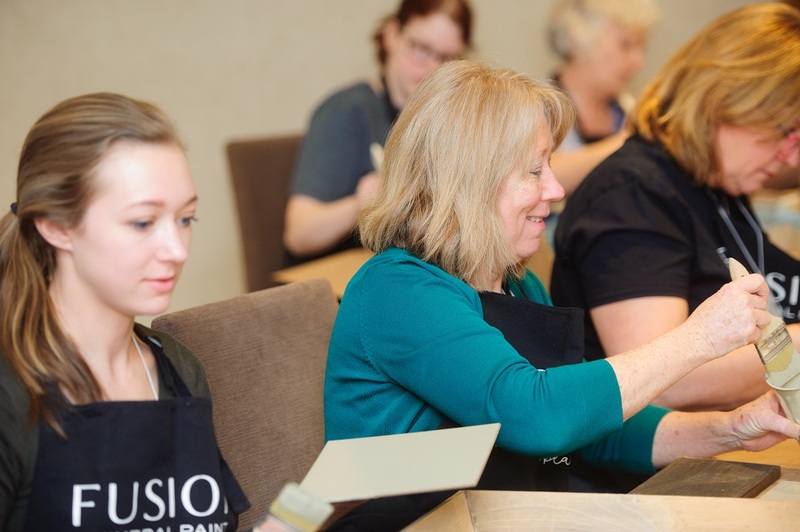 Their knowledge of our products happens through a series of online training courses, or in person training as well as at our business development Conference & Retreats! It was an incredible 4 days away and a huge treat! 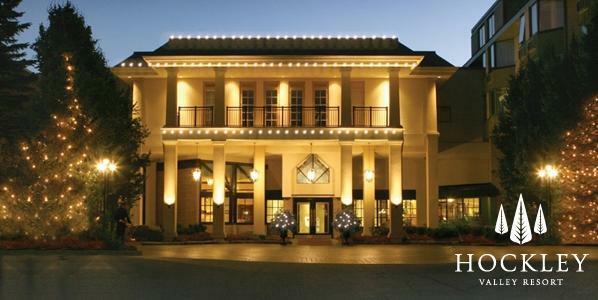 Our Merchant business development conferences and retreats are exclusively for our Merchants. It is our ‘Thank You’ to them for their dedication to us, and, in turn they walk away with so much more knowledge on how to help you, the customer, in store! We host this event annually, and each year is better than before. As an entrepreneur it can be isolating, getting a chance to connect and be inspired by your peers is one of the key opportunities for our Merchants at our Retreats. 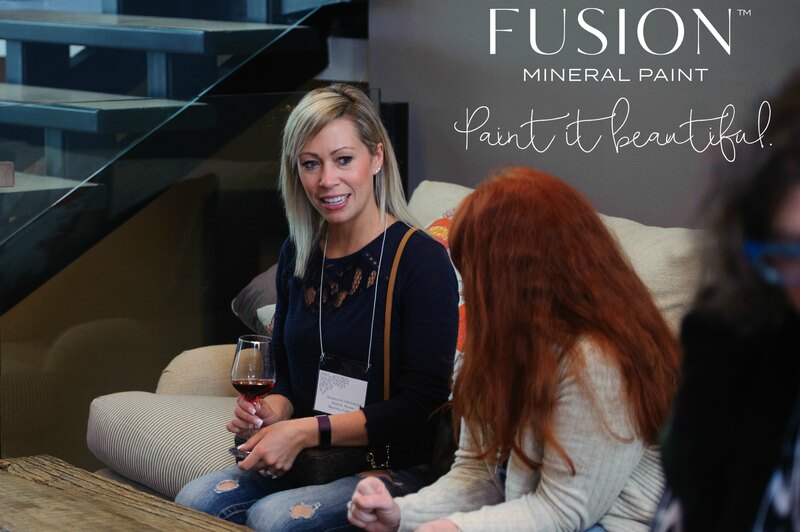 If you are thinking of becoming a Fusion Mineral Paint Merchant click here to learn more. Here is a little of what went on behind the scenes! We started off with a Cocktail Reception at the beautiful Adamo Winery. 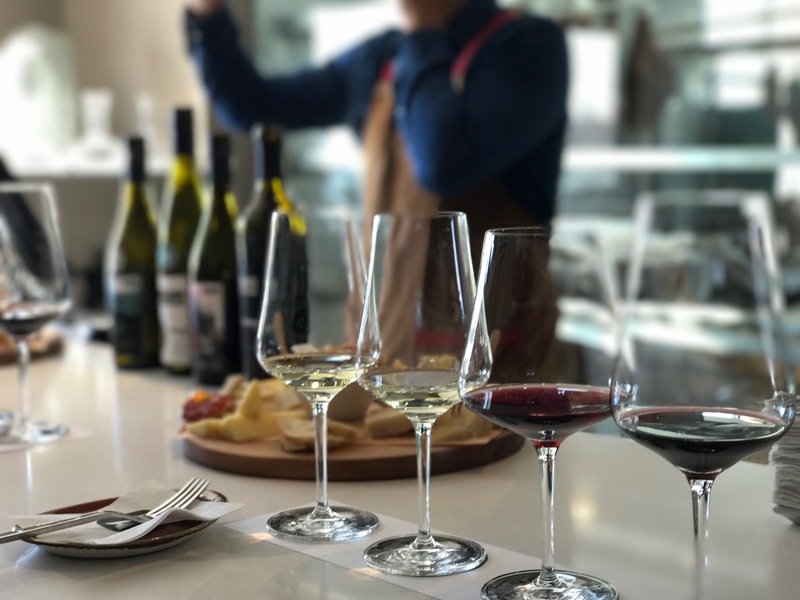 We got to select from their beautiful award winning wines and enjoyed food pairings! Everyone was mixing and mingling, laughter could be heard throughout the Winery! The rooms were buzzing! 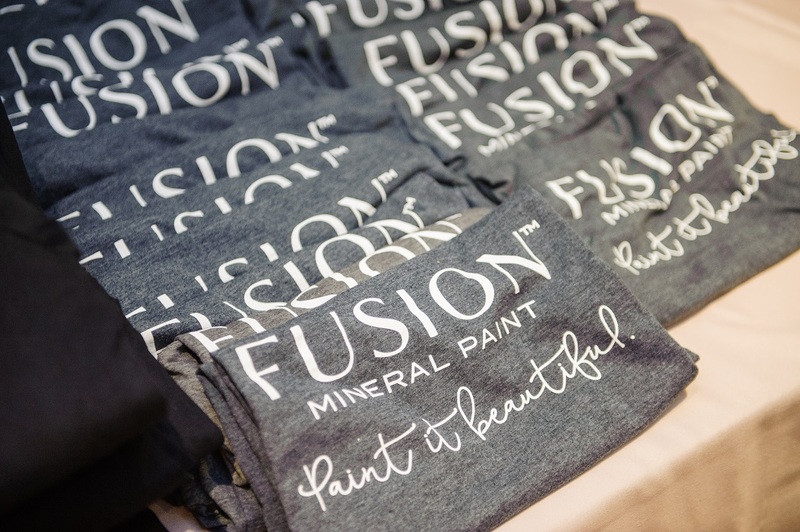 We had Fusion Mineral Paint Merchants from far and wide in attendance. From the UK, Europe and all over USA and Canada. We even had our world class videographer there interviewing some of the Merchants and capturing the full event. Video coming soon! 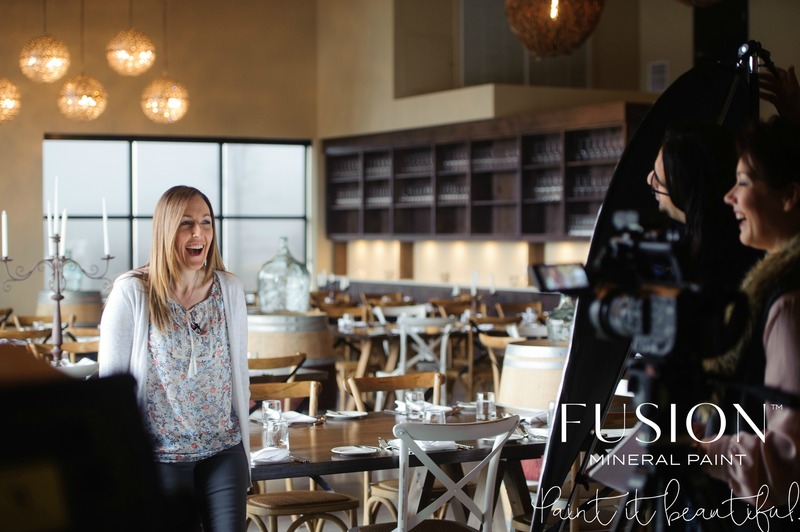 Laura of Laura Faye Creations of Lethbridge AB is clearly having a blast during her interview- will we get to see the out takes?! 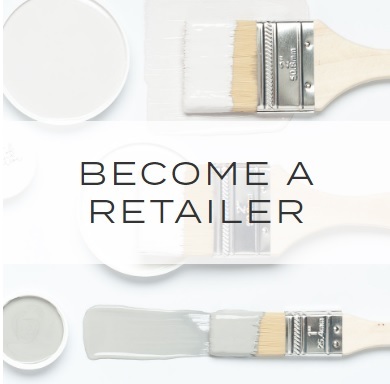 The ability to network with over 70 of your fellow Merchants is an incredible opportunity! Did we mention there was wine?! We ended the evening off with a 3 course plated dinner- it was exquisite! Here I am welcoming everyone and introducing our guest speaker for the evening. The next day we were up bright and early for a big day of different learning sessions! Starting off with a Keynote from myself, Jennylyn creator of Fusion Mineral Paint and President of Homestead House Paint Co. I shared how I created this brand, our family history and personal struggles to having our products available virtually worldwide in over 500 locations! One of the highlights was our Pannel Discussion. 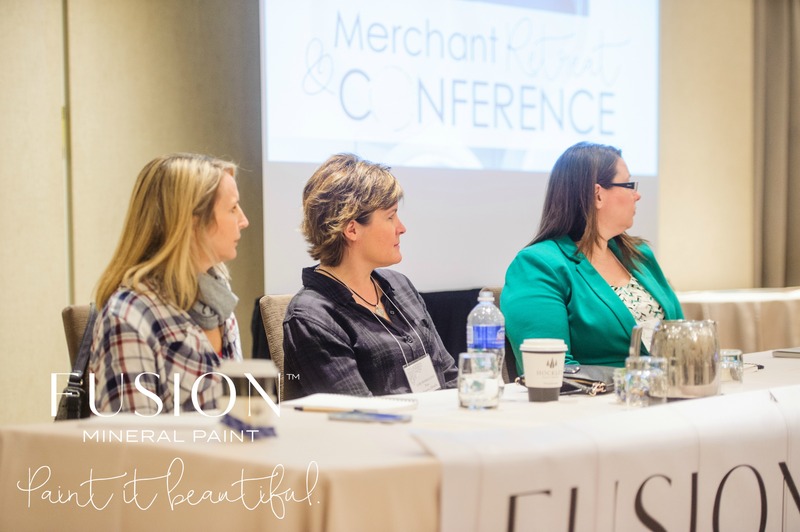 These women are incredible entrepreneurs that left everyone so inspired with their business success as a Fusion Mineral Paint Merchant! 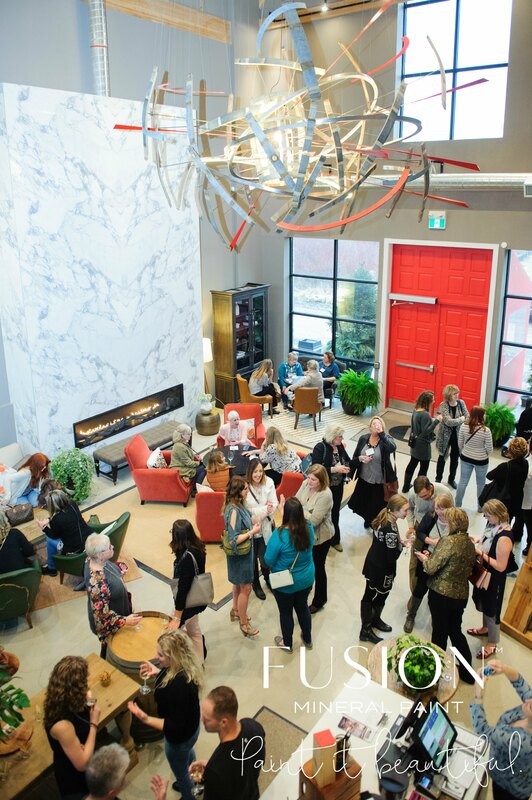 On the left of the Pannel Alison from Redefined Finds in Stouffville On, Lori from Pure Boutique in Burlington ON, and on the right Natasha from Vintage & Restoration Love in Dawson Creek B.C. 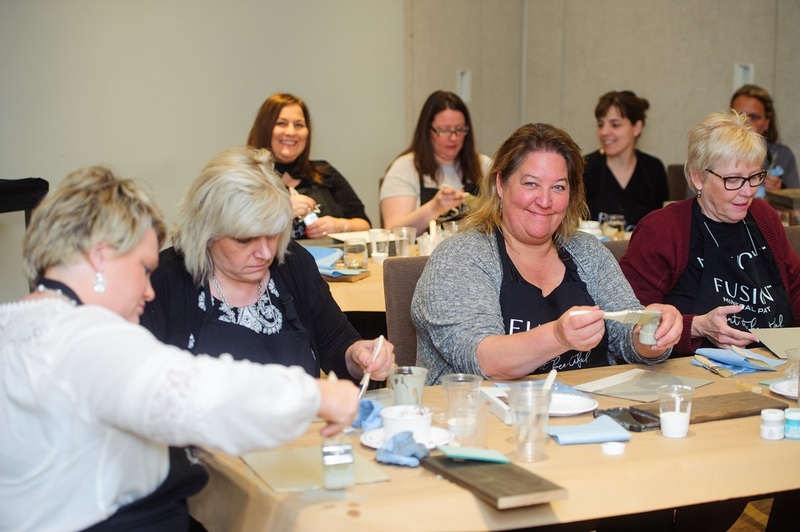 If you’re lucky enough to live near any of these ladies stores, I highly recommend you pay them a visit- and perhaps even join in one of their workshops! We continued on with Round Table discussions, guest speakers- the works! Needless to say, the energy at this event was incredible! Buzzing with ideas and new connections of friends. 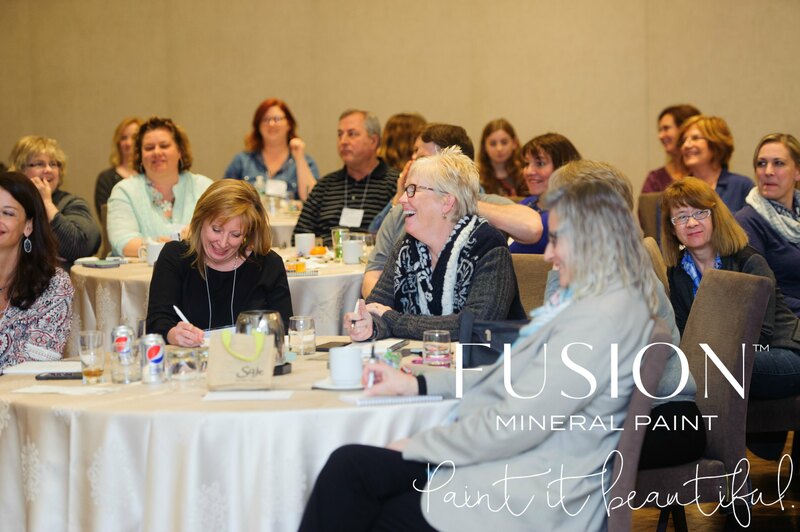 Our third day was a full day of hands on learning with Fusion Mineral Paint and our Homestead House Milk Paint. What a fantastic few days with some of the most inspirational people! The absolute best part was meeting new merchants…NOW I am full of ideas and inspiration from everyone and ready to get after it!! Check back soon for our behind our Video of the event! After 3 days of networking, it was time to take in the Spa… ahhh….it was divine! The vent was a huge success. Everyone left excited, reinvigorated and ready to make BIG things happen! When planning an event such as this, you always expect something to go wrong- I’m so pleased to say that everything went as planned, and we are already looking forward to the next one! Where in the world will the next one be this time? Any guesses or requests? A huge shout out to our photographer of the event Kimberly Brooke. She was incredible to work with! I highly recommend Kimberly for any of your events or photography needs! If you would like to become part of the Fusion Family, we would love to receive an application from you!